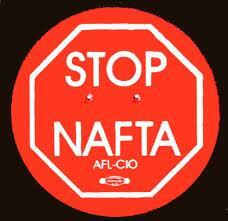 This deal effectively replaces the North American Free Trade Agreement (NAFTA). A trade deal involving the USA and Canada is something we in the CCOG have expected. We also expect that there will still be some negative ramifications of this deal, particularly between the USA and Mexico. The Bible tells of a powerful trade empire arising in the last days in Europe, called “Babylon the Great” (Revelation 18). Mexico will ultimately support Europe (see also Mexico, Central America, South America, Brazil, and the Caribbean in Prophecy). Mexico would also like land back that the USA now has. Bible prophecy points to this as well (e.g. Daniel 11:39). Despite this deal, expect Mexico to turn against the USA in the future and to align with Europe. fulfill? Is a Donald Trump presidency proving to be apocalyptic? Two related videos are available: Donald: ‘Trump of God’ or Apocalyptic? and Donald Trump’s Prophetic Presidency. This entry was posted on Monday, October 1st, 2018 at 7:45 am	and is filed under Prophecy.